The Central Oklahoma Community Mental Health Center was the first facility of its kind in the United States. During the administration of President John F. Kennedy, federal and state funds were used to build and staff COCMHC under the Community Mental Health Act of 1963. COCMHC offers mental health and substance abuse services to children, youth, adults and families. All services at COCMHC, located at 909 Alameda St. in Norman, are based on the recovery model, which supports co-occurring, trauma-informed and culturally competent service delivery. Supportive counseling, crisis intervention, and family support and education. All of the center’s services are built on empowering people to recover in their own way, in their own pace and, more importantly, to live the life they want in their own community. 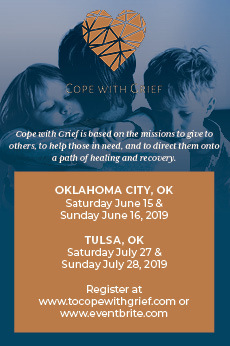 For more information, visit www.odmhsas.org/cocmhc/index.htm or call (405) 360-5100. What attracted you to this position with COCMHC? I was living and working in northern Virginia when the executive director opportunity at the Central Oklahoma Community Mental Health Center became available. I had been looking to move back to my home state and continue working in community mental health, so this was a perfect fit for me. What has been your focus since joining the facility on June 1, 2015? I have had two main goals since I arrived. The first was for me to get to know the staff and to hear their successes, challenges and their vision for strengthening and improving the services we provide. This information has been very valuable to me as a new director. My other goal was to formulate a comprehensive assessment of the organization. COCMHC, like other community mental health centers across the state and country, faces challenges in providing timely services to those in need, improving accessibility, maintaining best practice services, and doing all this with limited and shrinking resources. We are moving forward with new initiatives and changing some of our business practices to meet the overwhelming needs we see in our community. What would you like people to know about mental illness and its treatments? The percentage of Oklahoma children experiencing a major depressive episode has risen steadily over the past five years, from 7.9 percent to 9.2 percent. Oklahomans ages 12-20 report binge drinking in the past month. Oklahoma ranks in the bottom 10 states for access to mental health care. Folks should know that treatment is effective, people recover and behavioral health care is essential to good health. We know that early treatment can produce better results. Seeking appropriate help is a sign of strength, not weakness. Our staff members are skilled, caring professionals who are ready to assist people who come through our doors. 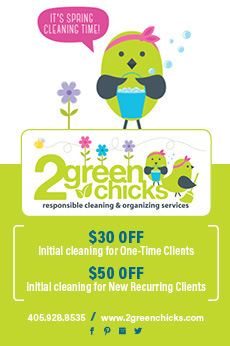 We want those in need to seek out our services and make us their provider of choice. What stigmas would you like to address about mental illness? One in four people are affected by behavioral health issues on any given day. It could be me, my family members, friends or co-workers. There is no shame in seeking behavioral health care. People are not their illness; they are living with that illness, seeking treatment and building a road to recovery. Short term, my goal is to provide support for the good work happening here at COCMHC through sound leadership and being a good steward of public funds. My long-term goals are to improve access to our services and strengthen our financial processes, which will enable us to continue and expand our services. Another long-term goal for me is for our facility to build a truly integrated service system across all our programs, including our primary care clinic. The important link between behavioral health care and primary health care is clear in the research and the phenomenal outcomes we see here on our campus.